Throat muscle training is important to avoid food aspiration pneumonia. However, the user cannot see own throat motion easily. 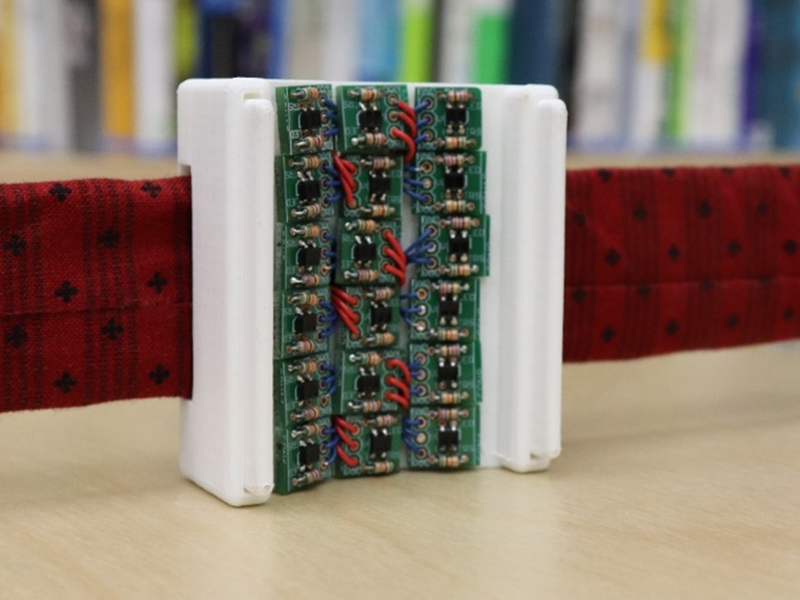 In this paper, we have developed a wearable device to visualize larynx position and estimate the larynx position with Support Vector Machine (SVM). 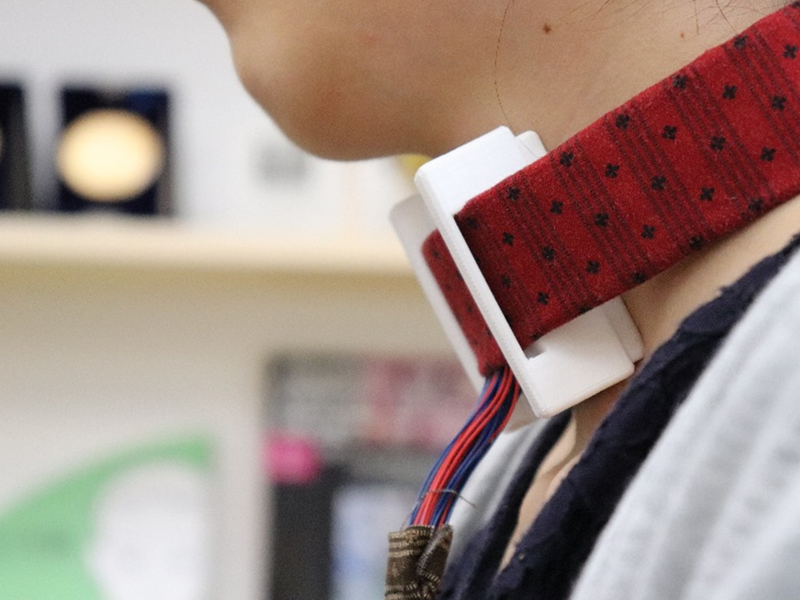 This device measures the distance between the skin surface and photo-reflective sensors and estimates position of the throat. We prototyped an entertainment game with visualizing of throat motion. In this game, competition with others can enhance the user’s motivation.